Helen Bonny was a remarkable individual whose pioneering work has touched and transformed many lives. 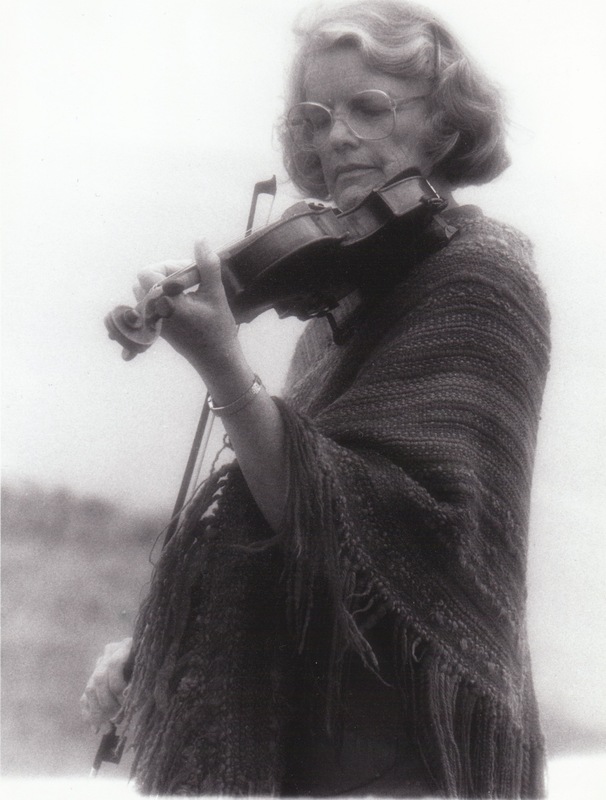 She embodied a unique combination of life experiences as a classical violinist, visionary, music therapist, researcher and scholar. Her seminal contributions of the use of music to explore the mind and expand consciousness for therapeutic aims has evolved into a creative process that is being used worldwide. In the early 1970′s, she became a member of a “dream team” of consciousness researchers including such notables as psychiatrist Stanislav Grof (founder of Grof Breathwork), theologian Walter Pahnke, John Lilly and others at the Maryland Psychiatric Research Center in Baltimore, Maryland. Like the shamans and healers of old, these contemporary pioneers sought treatment for patients with terminal cancer, alcoholism and other serious illnesses with psychedelics and other psychotropic substances in a carefully controlled setting. Music was regarded as an essential element of the research as it provided a predictable guide for the patient in their explorations of inner mind states. Helen’s particular genius was combining her musical and intuitive knowledge in the specific selection, structure and sequence of music that would maximize the desired therapeutic outcomes. Drawn from the great art of Western classical traditions, the music became an inner auditory guide for the drug induced healing explorations where cathartic emotional release, profound transpersonal experiences and reintegration of contents of unconscious mind states became possible. Several articles were published outlining these findings. From these early roots, Helen later developed a process which came to be known as the Bonny Method of Guided Imagery and Music – a contemporary psychotherapy centered around music and the skill of a trained facilitator. In 1999, at the World Congress of Music Therapy she was honored for her life work and the Bonny Method of Guided Imagery and Music was recognized as one of only five major international models of music therapy. Today, her method continues to evolve and has been successfully used with individuals and groups in a wide variety of clinical and health care settings. It has proved effective for persons with stress related, emotional and physical disorders, addiction and recovery, as well as those interested in creativity and spiritual growth. As the founders of Atlantis Institute, we have been privileged to work closely with Helen since the inception of her work in the early 70′s. She has been a source of inspiration, personal friend and mentor to us both. We are deeply grateful to the unique gifts she has brought to the world.